Nile Crocodile (crocodylus niloctus) | Credit: Leigh Bedford/Wikimedia. With its balmy climate, swamps and lush greenery, Florida has proved to be the perfect home for large reptiles from other tropical parts of the world. For example, the Burmese python, a native of Southeast Asia, has taken root in the Everglades over the last several decades. Other scaly invaders include the tegu, a large South American lizard, and a number of non-native crocodilians. So it’s not entirely surprising that scientists have identified at least four Nile crocodiles (crocodylus niloticus) hanging out in Florida swamps. They report their findings in the Journal of Herpetological Conservation and Biology. The Nile croc is found throughout East Africa, but has never been documented in the U.S. before. They can grow up to 16 feet long and weigh up to 1600 pounds; much bigger than Florida’s native large crocodilians, the American crocodile and American alligator. 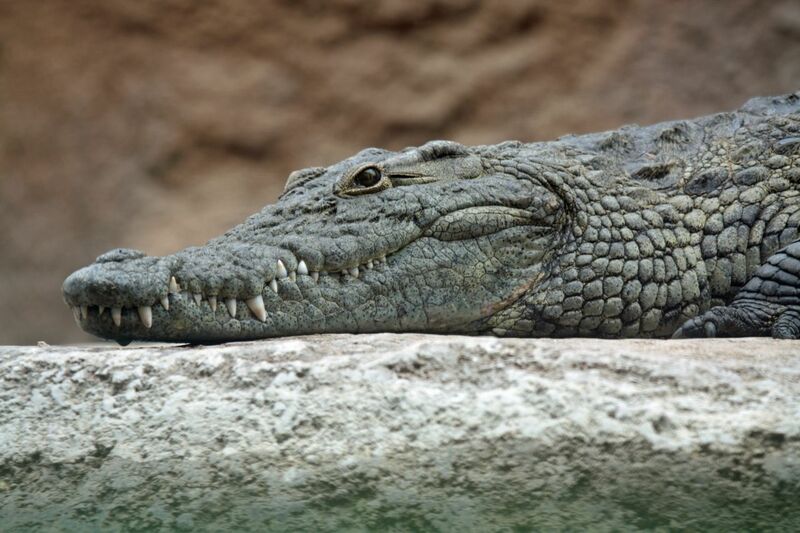 Nile crocodiles are also more dangerous to humans than their American counterparts. They were responsible for at least 493 attacks on people in their native range between 2010 and 2014, 354 of which were fatal. “Fully grown adults are much more prone to looking at humans as food,” Frank Mazzotti, a professor at University of Florida and co-author of the report, told Newsweek. If C. niloticus became established, it may threaten the native species of Florida through predation…and competition, compounding the existing threat to native wildlife already impacted by human induced habitat modification and introduced invasive species such as the Burmese Python. It’s still unclear if the Nile crocs are breeding in the wild. Florida law requires croc keepers to have a permit and report any animals that escape. To date, only four incidents have been reported and they may correspond to the four individuals identified by scientists. If they have established a population, getting rid of them may prove to be a bureaucratic nightmare. The Nile crocodile is protected by the U.S. Fish and Wildlife Service under the Endangered Species Act. Special permission has to be obtained to move or euthanize individual crocs–even though they’re in a non-native habitat. See the Nile crocodile in its natural habitat in NATURE’s Supersize Crocs.